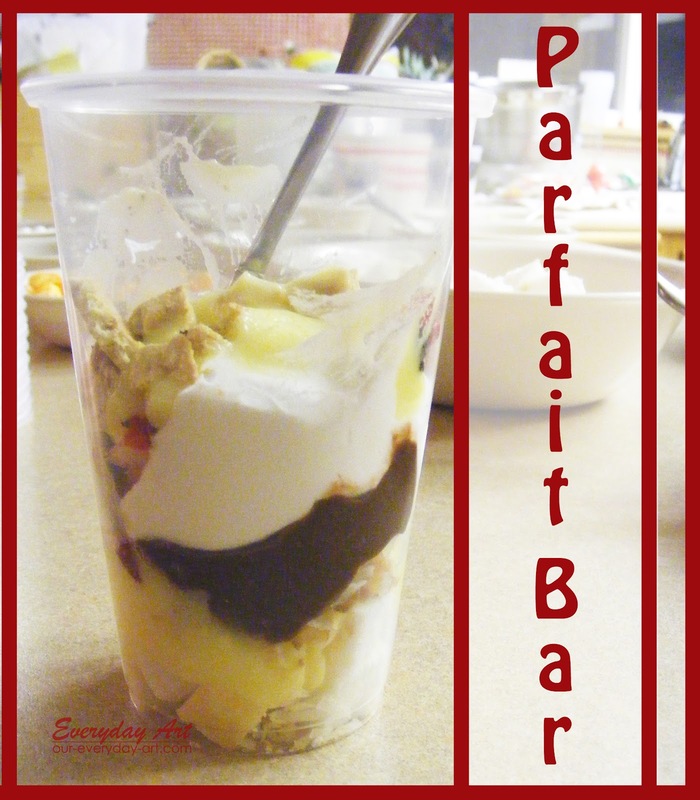 Last time we were together with family we decided to give this Parfait Bar a try and I think we all agreed it was a total success! We went the non-fancy route and just used plastic cups, but it would be easy to dress it up for a party with pretty glasses and a cute dessert table. Just think of anything and everything that might be delicious as part of a parfait, set it out, and let guest build their own. There is one major problem though. Deciding. 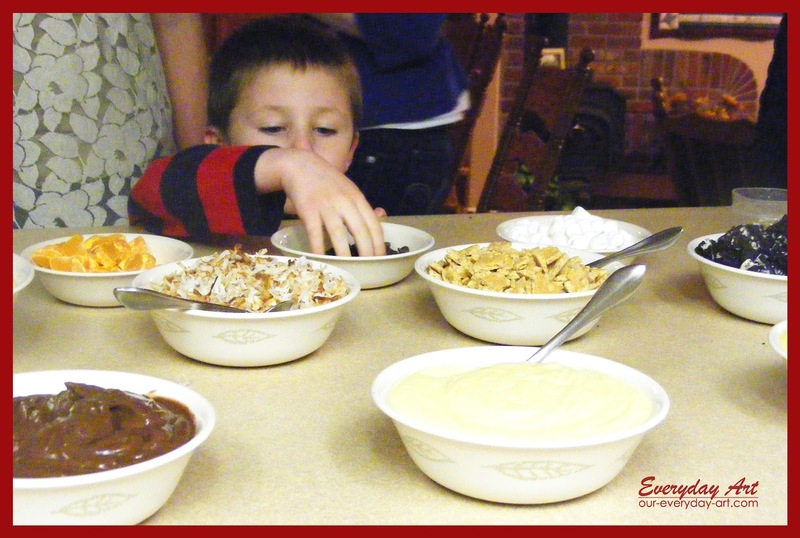 I mean, you could go for a little of everything, but its one of those things that seems to grow uncontrollable and you're left eating a huge dessert. Darn. 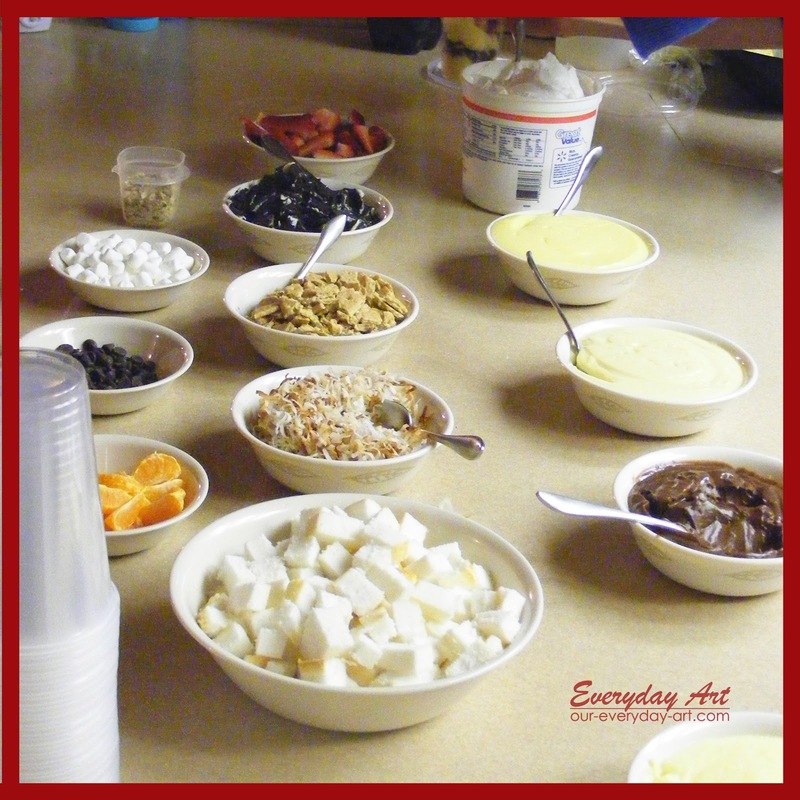 We used different flavored puddings, whipped cream, and whater anyone had already that we thought might be good (nuts, marshmallows, fruit, grahams, chocolate chips... just to name a few).